Jaguar has joined forces with Formula One racing group Williams to produce a British-made commercial model of their hybrid C-X75 supercar, the pair announced on Friday. "I'm proud today to confirm that we will build, we will launch and we will sell a road-going version of the C-X75," said Adrian Hallmark, global brand director of Jaguar Cars, at a press conference in central London. Jaguar, which was bought by India's top vehicle maker Tata Motors three years ago, had unveiled the prototype C-X75 supercar at the Paris Car Show last September. The C-X75, which is designed for "supercar performance" with help from Williams Formula One, is an exclusive model which uses a mixture of internal combustion power and electric motors. 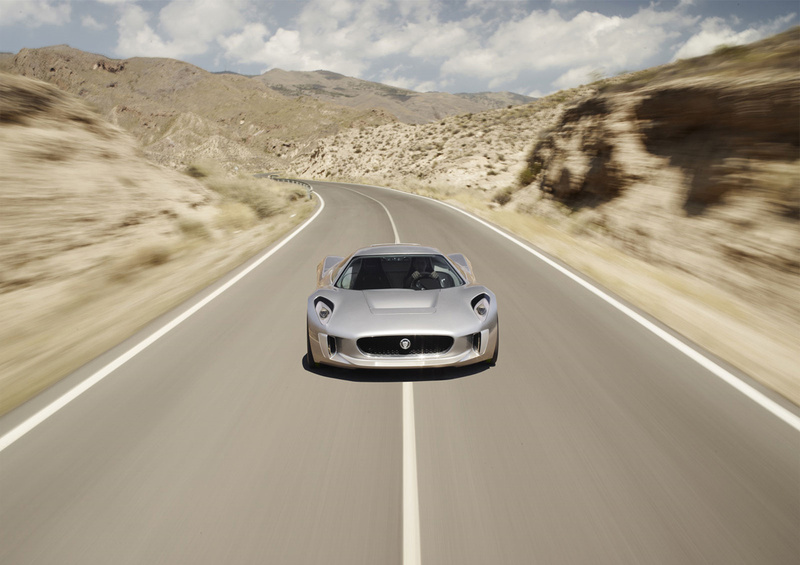 Jaguar will manufacture just of 250 of the commercial C-X75s, which produce less than 99g/km of CO2 emissions. The company added that the car would help create more than 100 highly skilled jobs in Britain. However, the supercar will also carry a super price tag, starting at £700,000, while production will run from 2013 to 2015. "It is a great example of British industry and excellence," said Hallmark, adding that the C-X75 was a "groundbreaking vehicle with CO2 credentials". "It will remain an exclusive car... with the expertise of Williams F1," he continued, noting that it was an "example of transfer of technology from motorsport" to road-going vehicles. The car, which is equipped with a traditional petrol engine, two electric motors and four-wheel drive, and will have a top speed of more than 200 miles per hour (mph), and accelerate from standstill to 60mph in less than three seconds. "Today's announcement is a real achievement for me and Williams F1," said Sir Frank Williams, co-founder of Williams Formula One, at the London press conference. "We sincerely hope that we can deliver the best technology that we possibly can." India's top vehicle maker Tata Motors bought Jaguar and Land Rover from US Ford Motor Co in 2008 for $2.3 billion -- a purchase that coincided with the global financial crisis that hit sales of the luxury cars. Carl-Peter Forster, chief executive officer of Tata Motors, said the Williams partnership would help create an "exciting" future for Jaguar. "Williams F1 and Jaguar Land Rover's skills are creating a sustainable but very exciting future for car manufacturing in the UK," he added on Friday. "The C-X75 is absolutely at the forefront of technology, is cutting edge (and) reaching to the future." He continued: "This project is proof that engineering is alive and kicking in this country, this is a showcase of what can be done in this country if we can combine our strengths."